Heliocare Review – Magic Sunscreen Pills? Yes, that’s right. 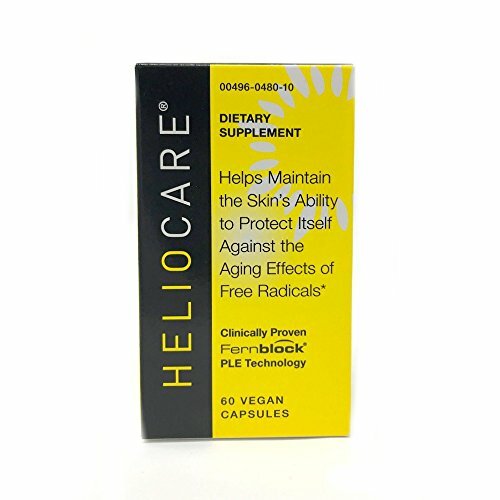 You can take heliocare pills to protect your skin from harfmful UVA and UVB rays. Hate putting on sunscreen every few hours? These definitely work, and can be your go to sunscreen if you are in the sun for a few hours or forget your normal sunscreen or tanning oil, and can help assist your sunscreen if you experience prolonged sun exposure. The really great part about the heliocare product line is how they are applied. Not only do they have products that can be applied topically, but they combine those with the ones they have available for oral intake. So not only can you fight the harmful rays of the sun from the outside in, but most importantly you can fight it from the inside out. What sets Heliocare apart from your other sunscreen brands? Can heliocare pills really protect my skin? Believe it or not yes! Heliocare has a special ingredient within every capsule that you take (and also every other product we mention below). Difficult to pronounce – but this is actually a fern that is native to Central America, and also flourishes through South America. The fern itself was originaly an aquatic plant, and over time adapted to live on land as well. Through this process Polypodium Leucotomos (PL) created its own form of protection to help the plants survive from the sun’s harmful UVA & UVB rays, as well as free radicals. Heliocare was invented by taking PL, and extracting the active ingredients so that you can adopt the same protective layer from the sun and free radicals for your skin! Heliocare has a number or products that we list below, but we want to cover a couple of things first. UVA/UVB/Free Radicals? What Are They? We all see these acronyms when running into the store to grab some sunscreen, or if you happen to walk down the sunscreen aisle, but what exactly do these terms mean? UVA stands for Ultraviolet A, and UVA stands for Ultraviolet B. These are the rays that you should be concerned with if you’re out in the sun for a long time. There is also UVC, but you don’t have to worry about these rays as they aren’t harmful to your skin. If you look at this picture you’ll see that UVB rays penetrate the skin’s surface and reach the entry way to your skins epidermis. UVA rays go WAY past that as these are the most harmful rays. You can see that the sun’s rays go all the way to the dermis (and yes, even on a cloudy day you can get sunburned). This is where you can experience terrible sunburn if you go without sunscreen, or you apply it and the water continues to wash it off so you don’t get the full affects. Aside from that – ever heard of ‘free radicals’ ?? Free radicals are everywhere. When you walk outside and enjoy being in the sun, when you are going out with friends, if you’re at the beach sipping a Corona. Free radicals are essentially molecules that are missing an electron and looking for one. When these free radicals are looking for their counterpart they can damage to other cells around it. When this happens it’s called oxidation. Anything that has the word antioxidant on it prevents oxidation. If you take antioxidants regularly it can prevent damage, and also keep you looking younger and healthier. Intrinsic aging can’t really be helped. It’s part of our genetic makeup and plays a big role in how we age, and how fast it occurs. On the other hand – extrinsic aging CAN be helped. Extrinsic aging comes down to just how you treat your body. From your diet, to your lifestyle and how you handle stress, to the area you live in (highly polluted?) etc. If you take care of the different components of your health from stress to diet to overall lifestyle and making better choices you know can affect you in the long run you can slow down the aging process. Also, sun causes 90% of skin aging. So while taking care of your diet and minding your lifestyle can help the majority of it is how you protect, prevent damage to, and preserve your skin in the SUN. This is where Heliocare’s products can help you. 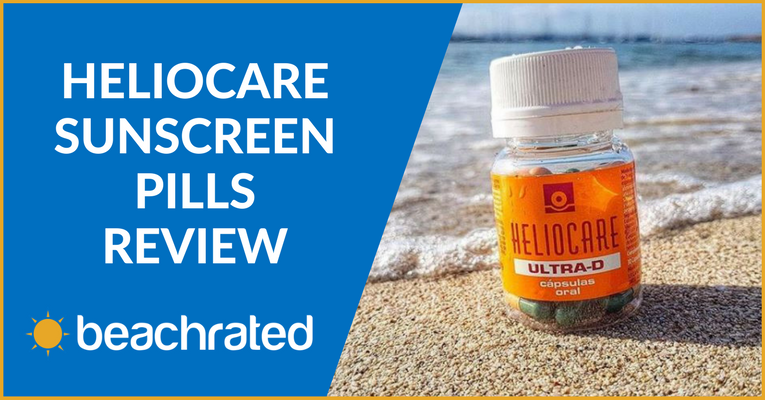 Heliocare’s oral capsules are the first major sunscreen pills to market. They help protect from harmful UV rays (UVB & UVA), but they aren’t to be used to replace sunscreen itself. Additionally, they also assist with combatting free radicals like we mentioned above. There are also 2 other forms of heliocare’s capsules down below. Ones for vitamin D deficiency, and some with higher antioxidant effects. One pack comes with 60 capsules and should last you roughly 2 months if you are taking them every day. It’s recommended that you take 1 daily. However, if you are going to be in the sun for a long time we recommend after an hour or so in the sun to take 1-2 more pills just to make sure your skin is fighting off the rays to the best of its ability. One of the great things about PLE is that it not only helps with preventing sunburn, but also helps with some of the more common skin diseases or conditions that can keep people from having a good time. While it’s not a cure for the 5 conditions above we have found that it can certainly help. We aren’t doctors and ask that you consult your doctor before taking Heliocare if you have one of the conditions above, or some form of it. 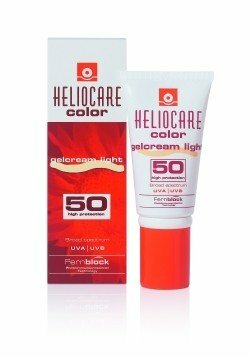 Heliocare provides advanced anti-ageing UV protection. Heliocare’s SPF spray goes on really nicely, and comes in a convenient 200ml size. This is to be used all over your body for when you are planning to be in the sun for an extended amount of time. Heliocare’s spray, and the advanced spf versions below will be best for use at the beach or lake, or long intense sun exposure. Some of the other Heliocare 360 products (mentioned beneath the gel) will be best for your daily regimen. Heliocare’s advanced SPF is more along the lines of a traditional sunscreen, but comes in sort of a ‘gel’ form. 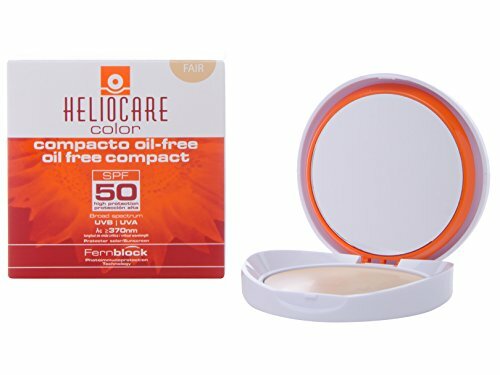 Heliocare designed this product to easily absorb into the skin so that you don’t feel greasy at all. 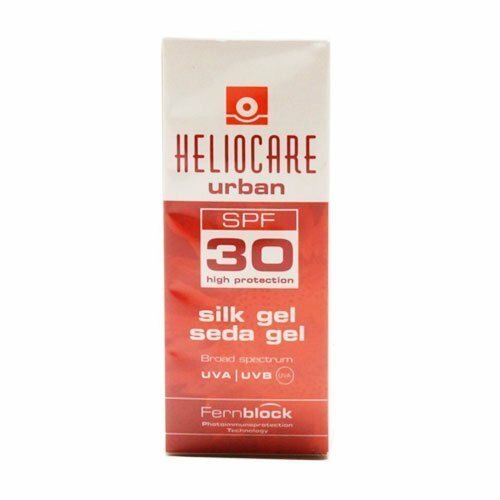 And more so than the Heliocare capsules the gel will further prevent harm from UV rays. If you have fair skin, or your skin is more susceptible to getting damaged after only a short amount of time – this could be a good sunscreen for you in conjunction with the Heliocare oral capsules to ensure you are protecting from the inside out, and the outside in. This gel comes in SPF 50, and also SPF 30. The 30 is a slightly different variation than the 50. It’s more lightweight and ‘silkier’ than the 50 allowing for easier rub in. Heliocare went above and beyond here creating different products for different types of faces. This one in particular is aimed at those with oily skin. It’s just like the advanced SPF gel above, but it has twice the amount of active ingredients that give your skin less glare (no shiny foreheads with this one), and it’s even lighter. Heliocare 360 incorporates an important development aimed at oily skin , with the launch of its gel formula with double antiglare system for its sebum and mattifying action. Although the heliocare advanced SPF above IS indeed light – if you have trouble with acne, oily skin, razor bumps or just want to be sure that it’s light enough then choose this one. Heliocare 360 (whether it be this product or the ones beneath) are intended to be used for your daily regimen. The term 360 means to protect you all around whether that be sun damage or free radicals. Just the fact that you are using them every day can only increase your chances of success with these products. 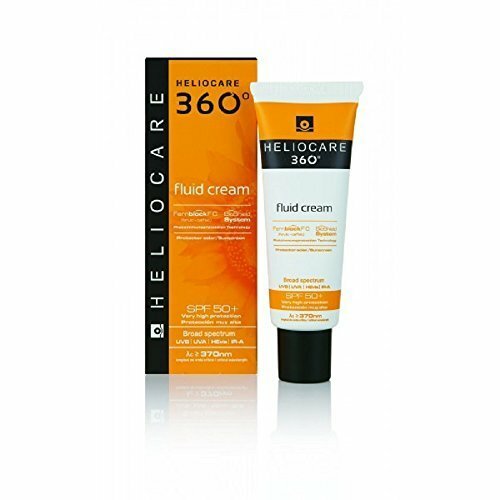 The heliocare 360 fluid cream is intended to be more of a daily moisturizer, like aloe vera gel. If you use a bikini trimmer, we recommend putting this on post shave as well to protect sensitive areas that may have become inflamed as well. Adding sunburn to sensitive areas can make an uncomfortable situation worse -like burn lines, or extreme tan lines. And, if you wear makeup often you can put this on underneath your foundation to make sure you have enough sun protection beneath it. 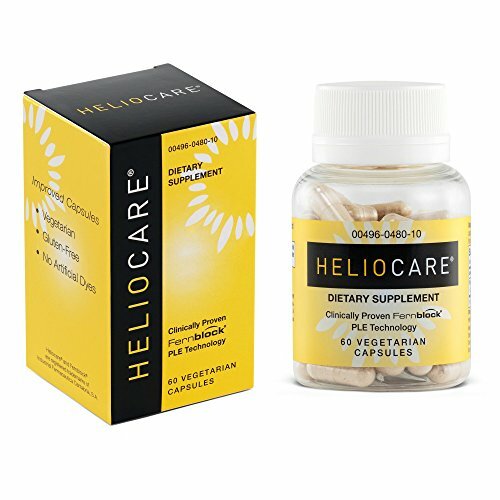 Heliocare makes a very lightweight product here like the gels mentioned above – does NOT feel greasy by any means and will be something you can make part of your routine in the morning and the evening. You don’t have to use much either to make sure your entire face gets covered. It spreads evenly and feels like silk on your face. 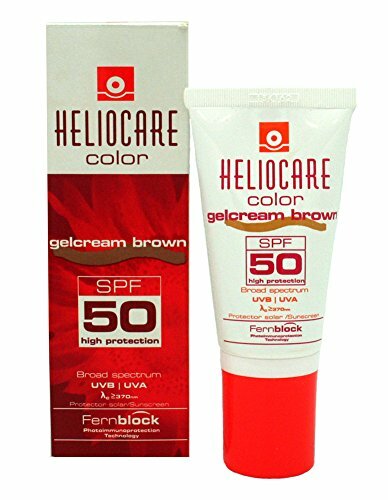 Heliocare only offers the fluid cream in SPF 50+ for the time being. This heliocare style is definitely intended to be used with makeup. It’s very light just like the other products above, but it also has a tint to it. Some of the others could be too light for your face if you have a darker olivy complexion, or you just have dark skin in general. You can use this as your foundation, or if you’re in a rush to head out the door quickly you can use heliocare color to give you a slight tint instead of putting on makeup. Heliocare Color gives your skin a ‘natural’ look which will give you that perfect look for the beach. Heliocare compact is great to replace your existing compact, or if you want to just use it on the go and keep it in your bag. This is foundation + sunscreen in POWDER format. 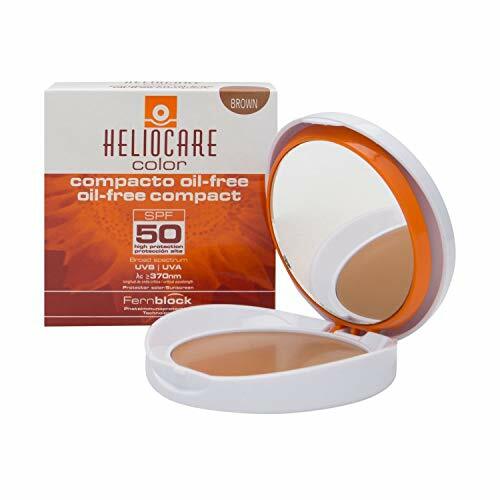 Heliocare compact comes in fair, light, and brown. 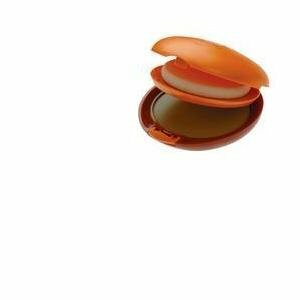 This compact is great for everyday use, but if you plan to get wet at the beach and get sweaty from playing games, then we would recommend the advanced sunscreen gel. The advanced sunscreen gel combined with the oral capsules is probably your best combination for being at the beach. Every other heliocare product in this list is great for everyday use. These are much like the original heliocare capsules, but they have more of an emphasis on the anti-oxidant portion of the active ingredients. If you have a day job working inside all day, and you aren’t normally in the sun these are a good choice for you as you may not need the daily intake of PLE from the original heliocare pills. ☀️ PREPARES YOUR SKIN FOR SUN EXPOSURE: Thanks to its formula based on natural ingredients, this product prevents premature aging and protects from sun damage. ️ VITAMIN D: Contributes to the normal functioning of the immune system. 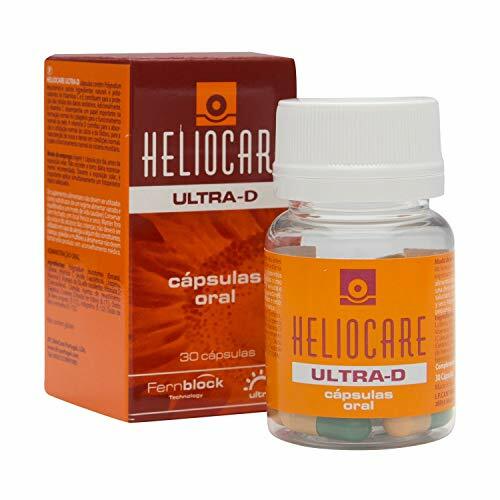 Heliocare Ultra D is great for anyone who has a vitamin D deficiency. It’s actually a more common problem than you may think. Vitamin D deficiency can happen in people over 50 as their bodies don’t create as much vitamin d as before when exposed to the sun, and also if you’re dark skinned. If you are an African American your skin may need 10 times the amount of vitamin D in your supplements to match the amount someone with more fair skin produces. All of heliocare’s products are great and help solve a common issue. Preventing sunburn. But the cool part about Heliocare is they do it differently than your average sunscreen. They combat sunburn and irritation from the inside out with their capsules, and in conjunction with their daily use heliocare 360 products they give you excellent coverage for the entire time you’re outside having fun!